Giveaway update: thanks for taking time to enter my first ever giveaway! I’m happy to announce that Diana was the winner as the random number generator produced lucky number #13 (13th comment left out of 18). I’m excited knowing that she’s eager to dive into cooking some Korean food from the cookbook in her beautiful kitchen. It’s that time of year. Losing weight is the on the top of most new year’s resolution. Gyms are packed w/eager beavers wanting to start the year on the right foot, people are making green smoothies w/kale, and counting calories, all in the hopes of creating healthy habits and weight loss. I’m also trying to incorporate more veggies, whole grains, and beans into my diet (I should probably dump the cookies and junk food in my pantry). 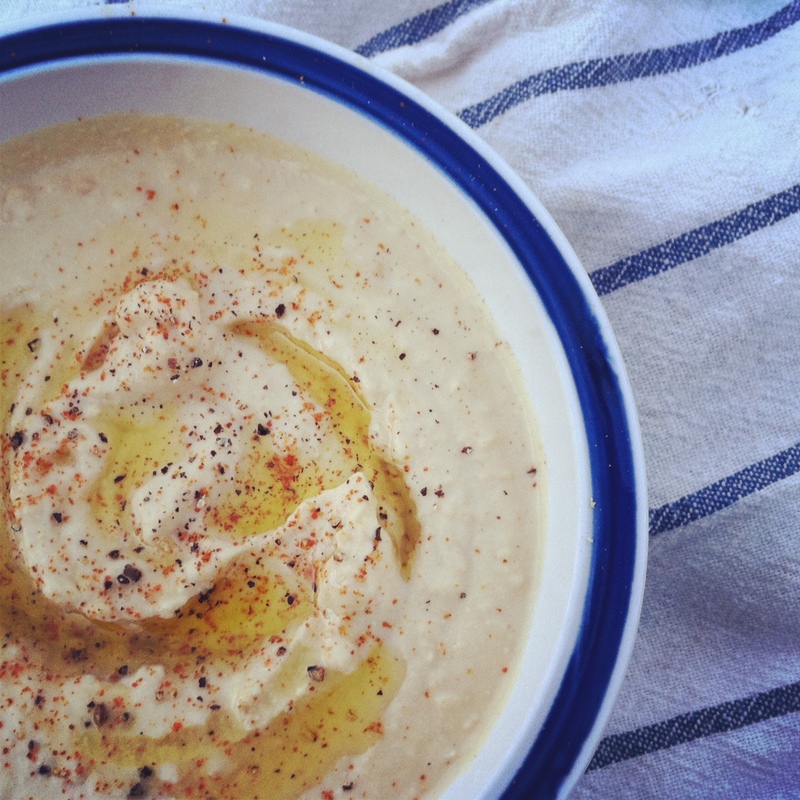 I came across this super simple hummus recipe on my iphone app, How to Cook Everything (so convenient). Not only is it easy, it makes a tasty spread for sandwiches, wraps, in addition to an easy dip for veggies. 1. Put the ingredients (minus the paprika) into a food processor or blender and sprinkle with salt and pepper. Blend. 2. Add liquid from the chickpeas or water as needed so that the hummus will be smooth. 3. Pour into a bowl and taste to adjust for seasoning (salt and pepper as needed). Sprinkle w/paprika and a drizzle of olive oil before serving. Note: You can find hummus at specialty grocery stores or ethnic supermarkets and it comes in a glass jar. I found mine at Sprouts next to the peanut butters. This entry was posted in beans, dips, Recipes on January 21, 2013 by honeyandlimes.